Marhaba. 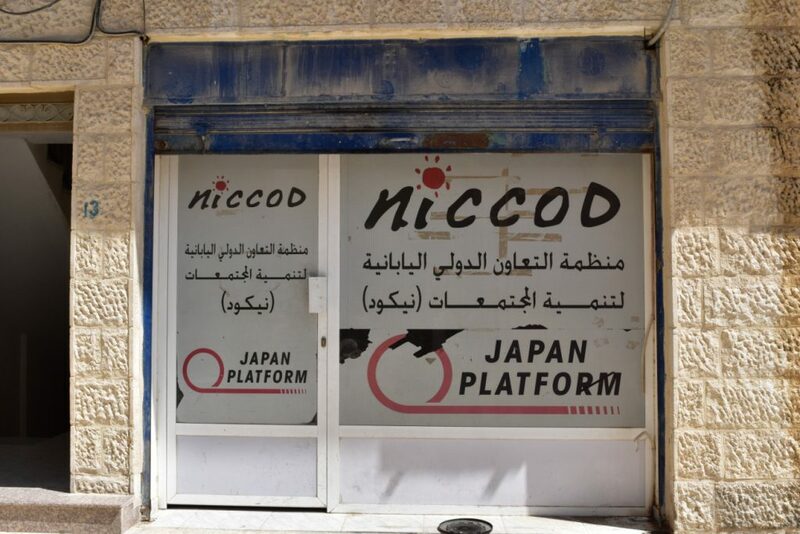 This is Nodoka from NICCOD Jordan Office. 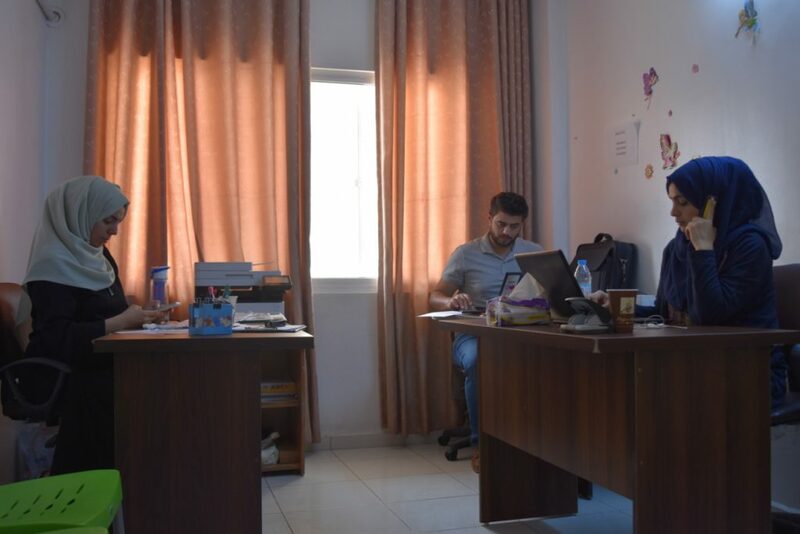 Today, I will take you to the “Zarqa Center”, where we usually work at. 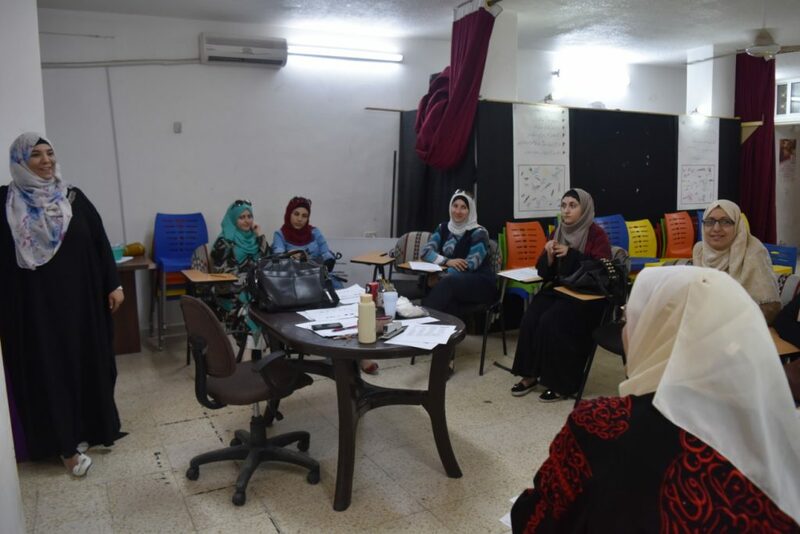 At this center, we are organizing activities such as psychosocial workshop, counseling, distribution, and empowerment program for women. Let me introduce what kind of people are working here, and what activities they are doing every day! 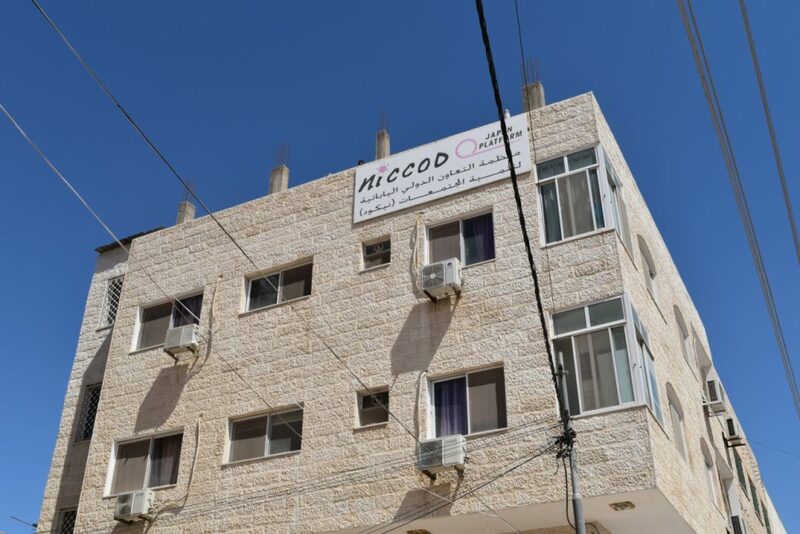 First of all, our center is located in Zarqa, the Northeast of Amman. Zarqa. which is the second largest city followed by Amman, is one of the industrialized area in the country. A large number of Syrian refugees live here. 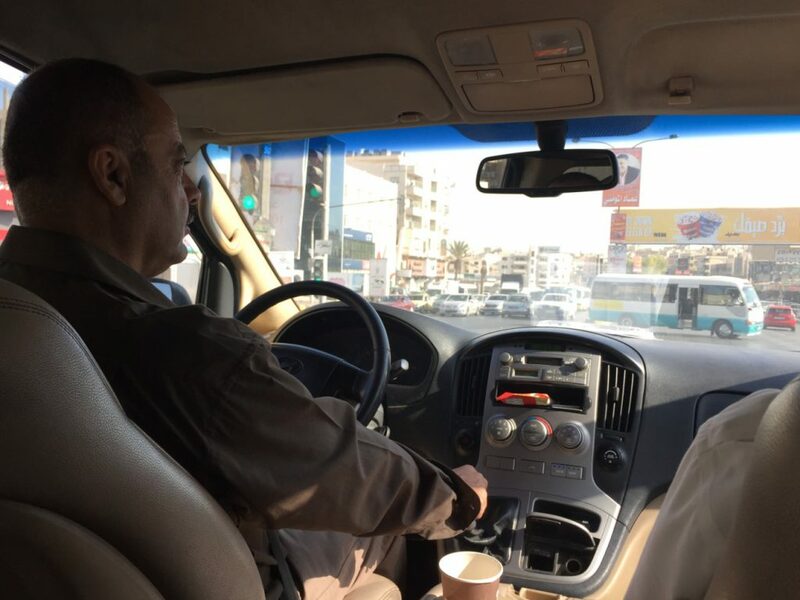 We commute together from Amman to Zarga by car every morning. one hour drive every morning. Scenery from the car is becoming wild as we head to Zarqa. This is Zarqa Center! 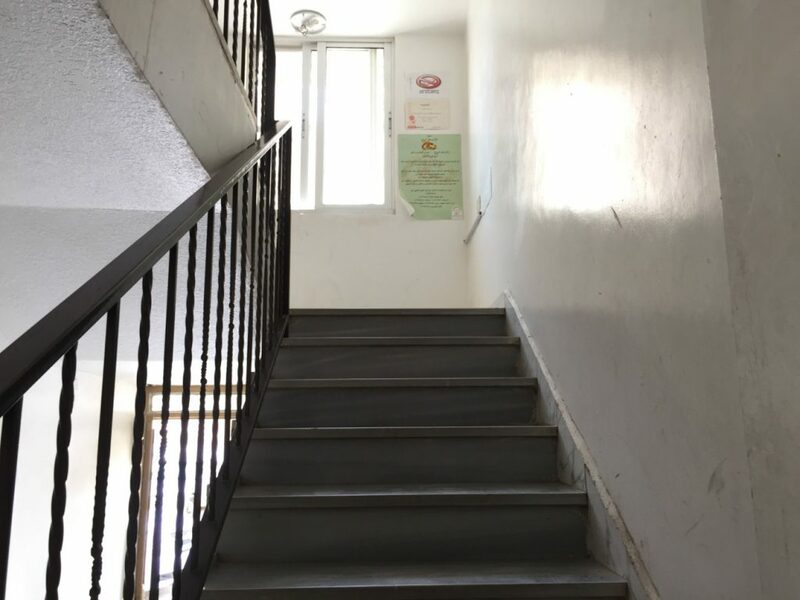 It’s a four story building with basement. 30 staffs including Japanese and local staffs work in this building, which has many rooms for each project. Local staffs have a large variety of backgrounds. They are originally from Jordan, Palestine, Iraq, Syria, Algeria and so on. As you arrive at the center, you will find a driver’s room next to the entrance. Some drivers are always here and ready to drive us to the other places. Drivers are relaxing in the room. The room is filled with the smell of coffee and cigarettes. So let’s go into the building! 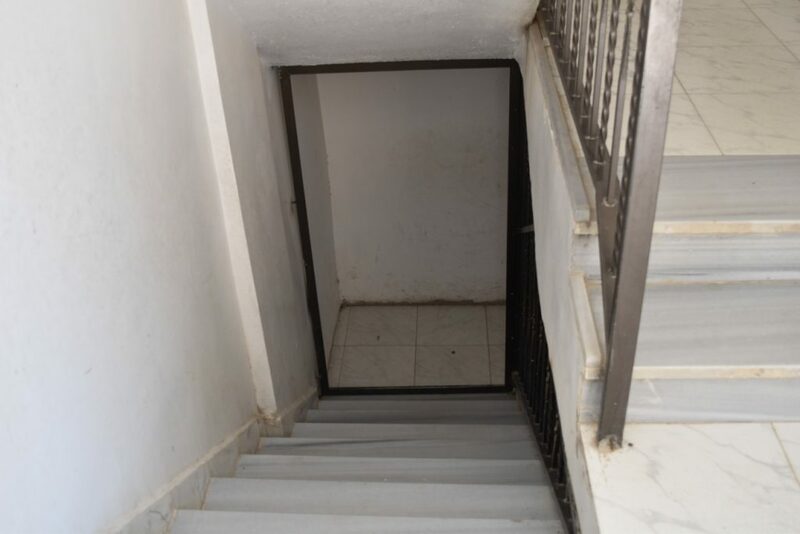 Let’s go down to the basement first. The basement has the largest space in the center. Usually English classes and Psychosocial Workshops are held here. English class for women is held on here. 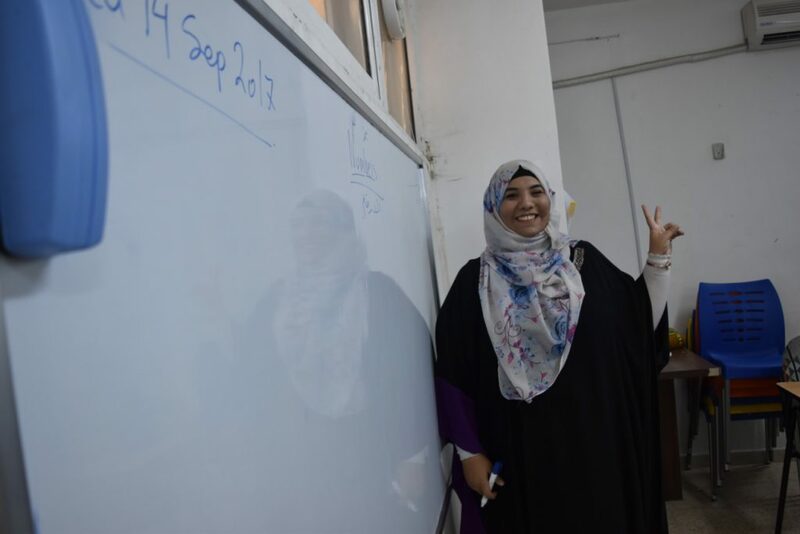 English teacher Eman. She is mischievous and cheerful! At first, you will find the Registration office at the first floor. Staffs who handle the distribution are working in this room. Registration office, at the front,and Counseling room, at the back. 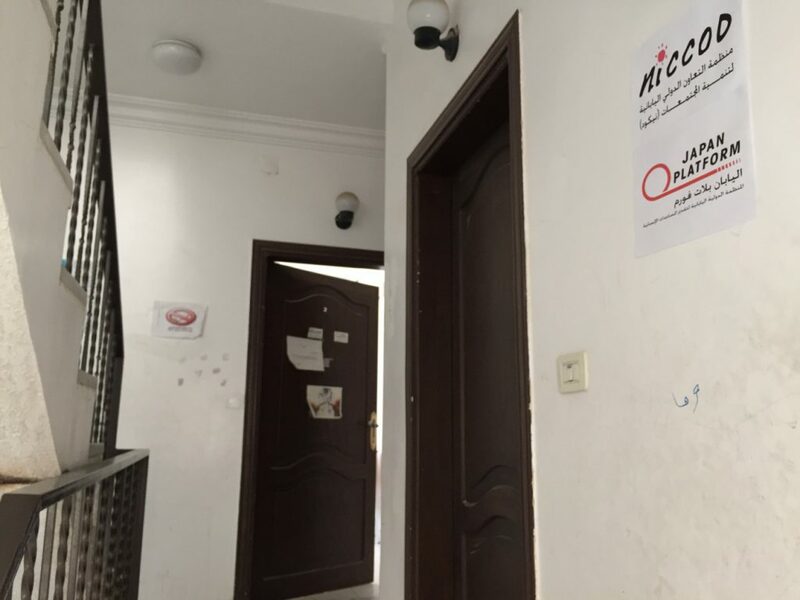 Syrian refugees visit here for registration to receive a distribution from NICCOD. They will get vouchers which can be used in supermarket. Distribution team is working seriously. SawsanSulaiman and Bara’em, from the left. 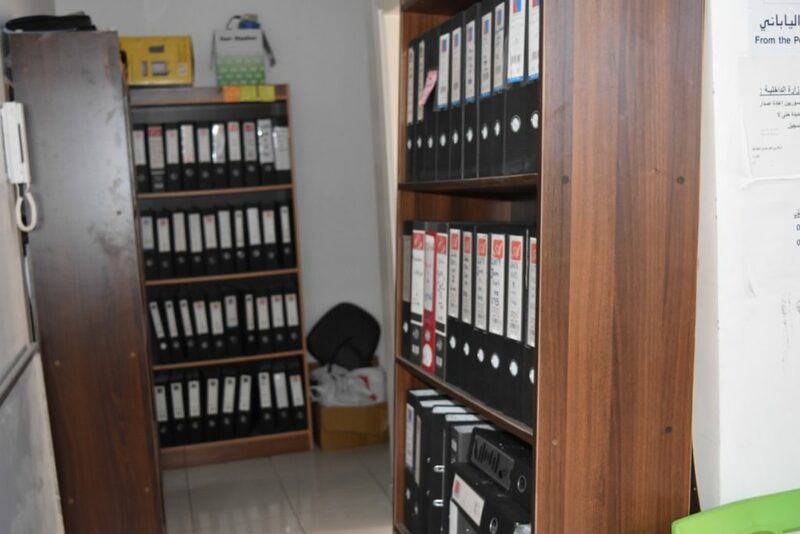 Many important files about registration. The next room is for the counseling team. Psychologists and nurses are always here for counseling. 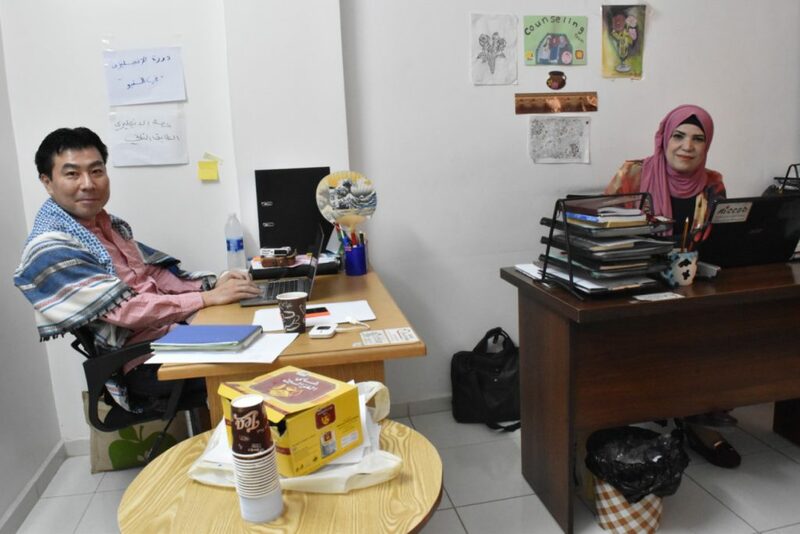 The patients are mainly Jordanian and Syrian, who are stressed out in everyday life and need psychosocial cares. Counseling room. Patients come to this room to talk about their problems. nurse Morio san, and social worker, Layla. 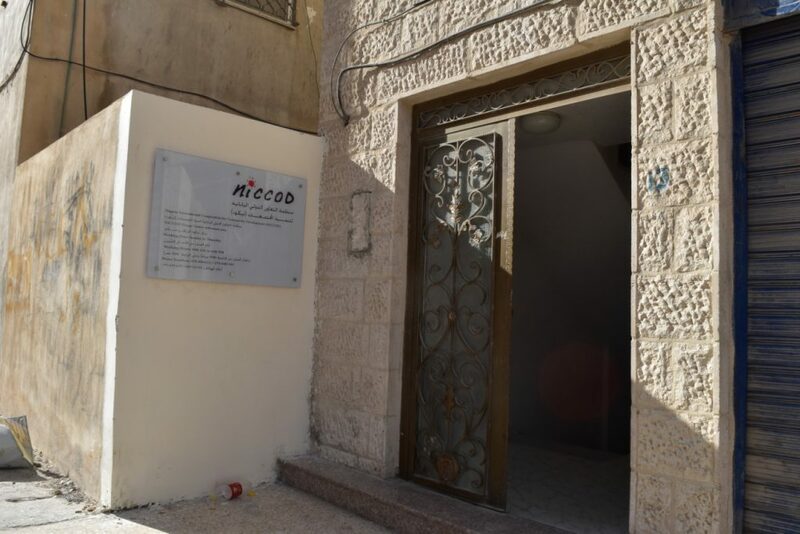 On the second floor, there is a kitchen room for women’s team, project manager’s office, and a room for Psychological Workshop for Children. 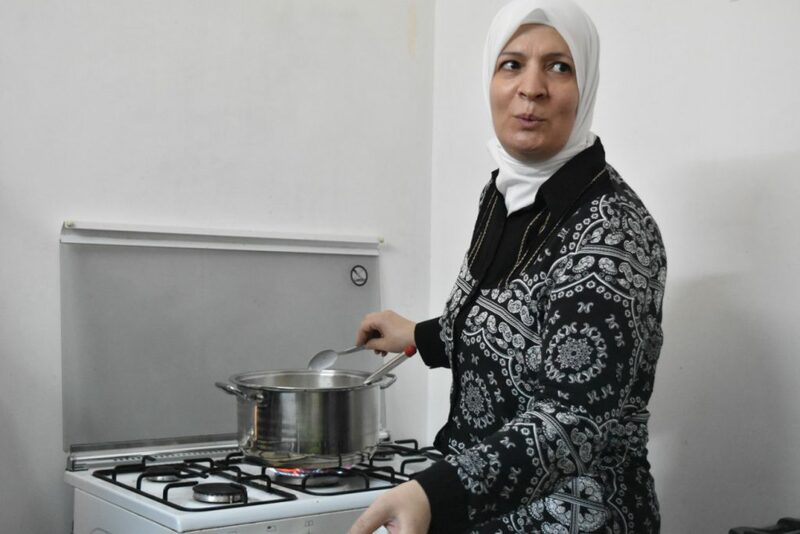 In the kitchen, Women usually make ordered dishes, or have cooking class, as a part of women empowerment project. 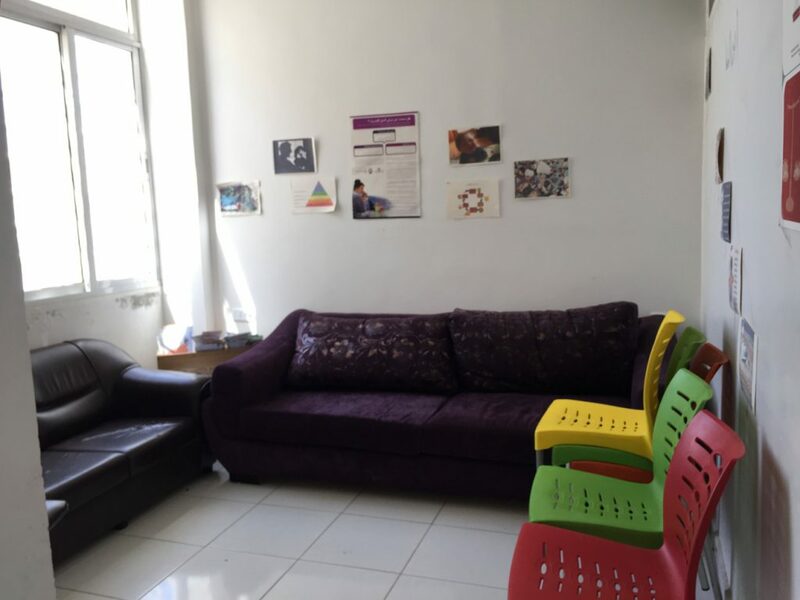 These activities which are held in this room enable female refugees to take an active role on the community. Lina, who is the leader of cooking team, always cooks quickly and skillfully. 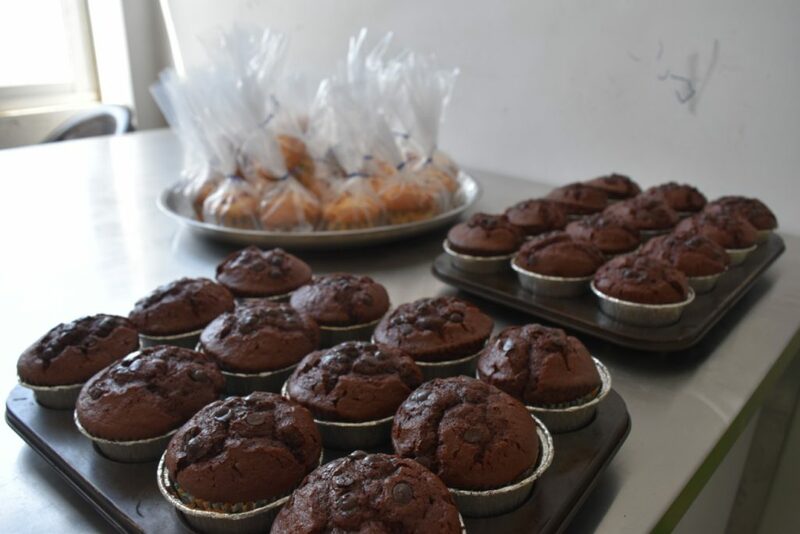 This day they made cupcakes for Psychosocial Workshop for children. Another room is for a project manager, Suzuki san. Manager Mr. Suzuki, he is always calm. This is all for today. We will continue to introduce rest of rooms of our center next time. 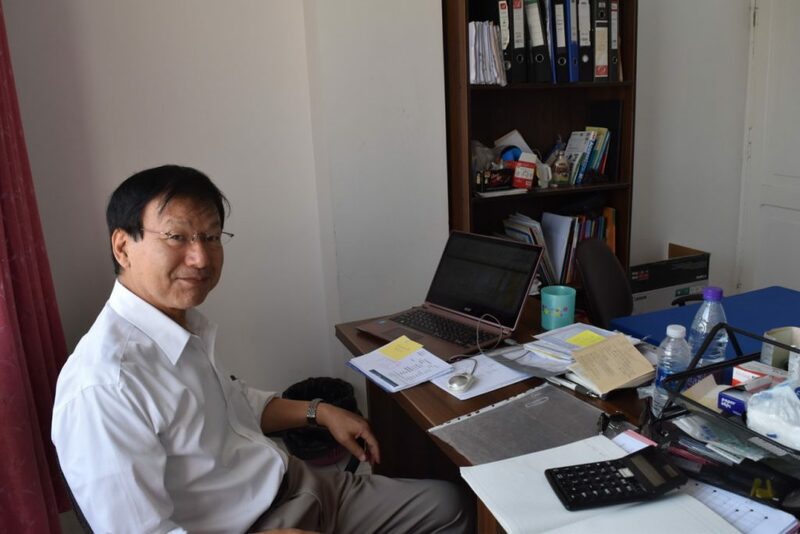 ©2015-　Nippon International Cooperation for Community Development. All Rights Reserved.